Mac Cone’s Olympic horse Ole has died at the age of 22. 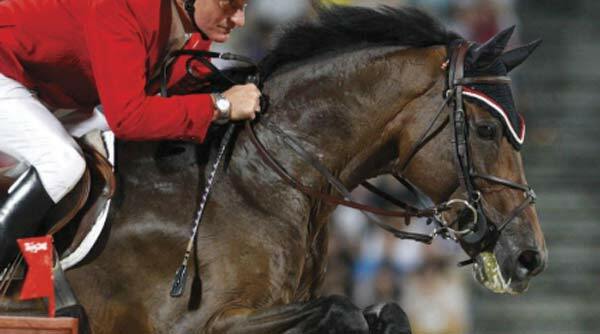 One of the horses who helped Canada claim a team Olympic medal had died, with the passing of showjumper Ole. He was aged 22. Ole, who died on November 23, was an iconic horse for the Canadian Equestrian Team. With Mac Cone in the irons, Ole’s storied career at FEI level began in 2008 when he won the very first Grand Prix he entered at the Winter Equestrian Festival in Wellington, Florida. That same year, Ole entered the history books when he and Cone travelled to the Beijing Olympics and helped the Canadian Show Jumping Team bring home the silver medal, which marked Canada’s first show jumping team medal since 1968. Ole’s momentum continued the next year, when he and Cone earned the 2009 Canadian Show Jumping Championships at the Royal Horse Show in Toronto. The duo enjoyed the title after winning both rounds of the Championship to lead from start to finish. In addition, Ole and Cone represented the maple leaf on multiple occasions in the FEI Nations Cup series, and helped Canada win the 4* Nations Cup in Wellington in 2010. Mac Cone visiting Ole at his retirement home. “He was truly one of the greatest horses we have ever had the pleasure of working with,” Cone said. The Dutch warmblood gelding Burggraaf x Kamora/Dukaat) was born in The Netherlands and was owned by Sara Houstoun and Larry Evoy since 2004. His last competition was in 2013, and he enjoyed a happy retirement with his groom, Dominique Maida.